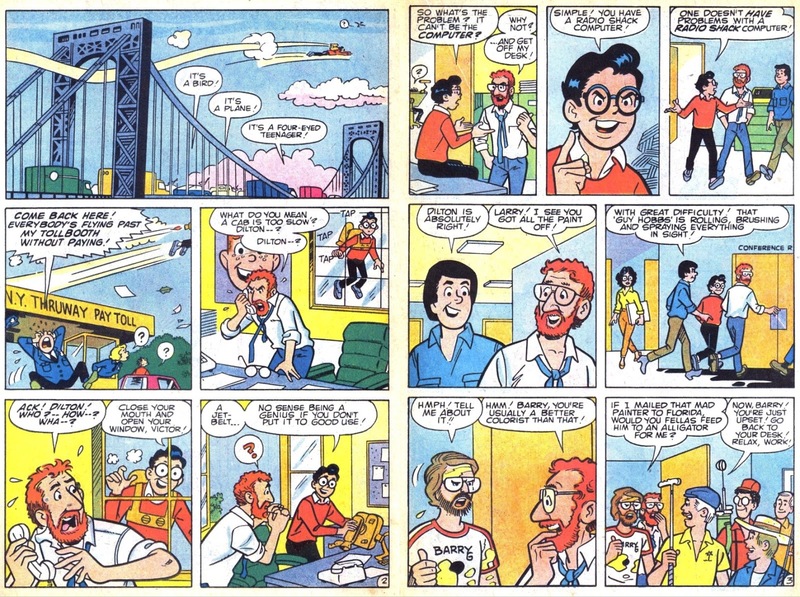 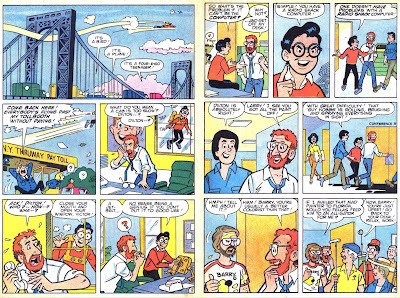 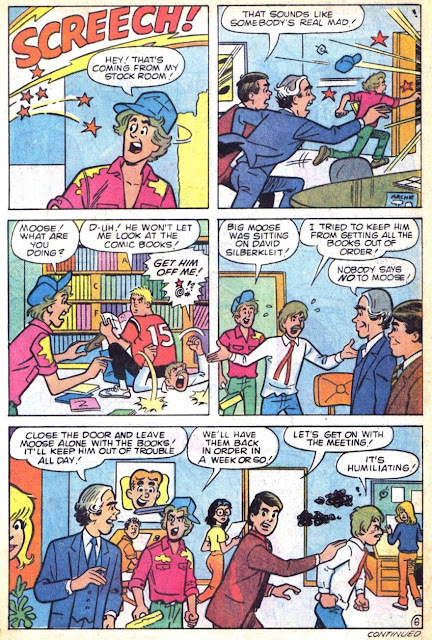 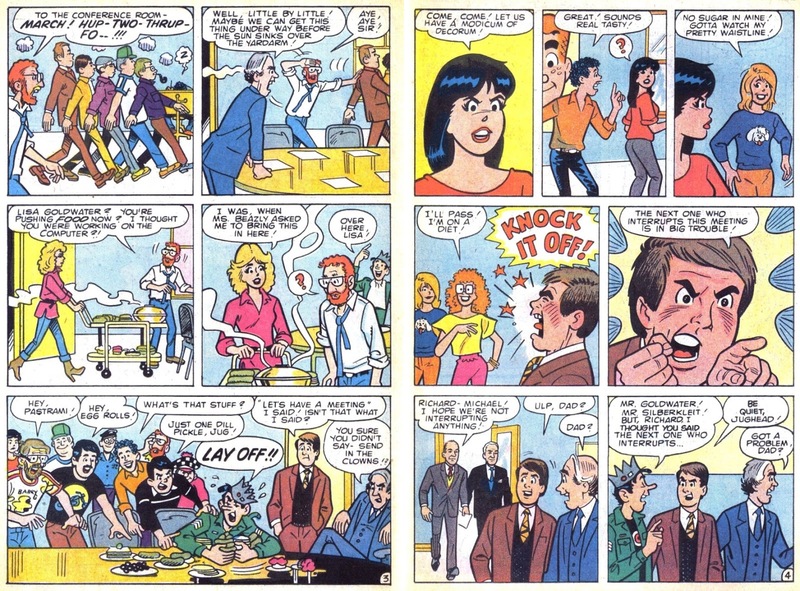 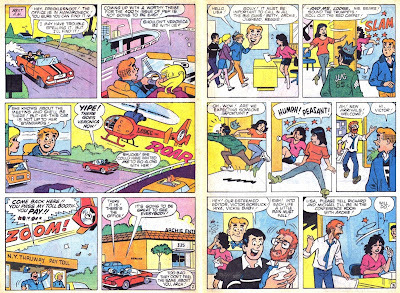 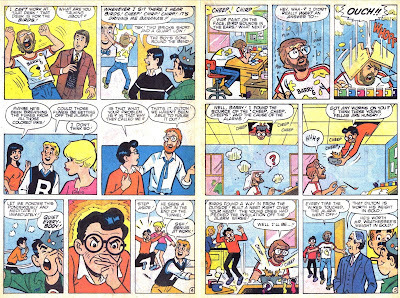 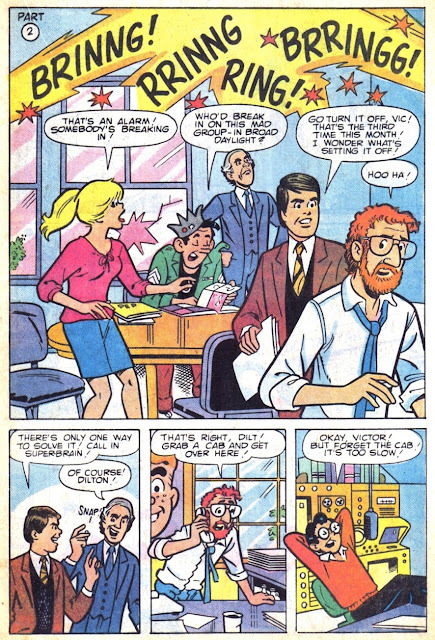 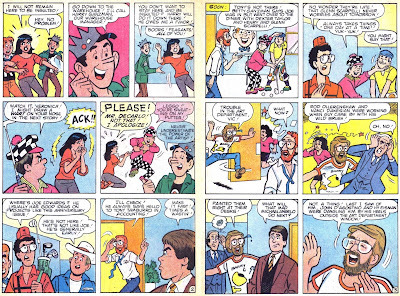 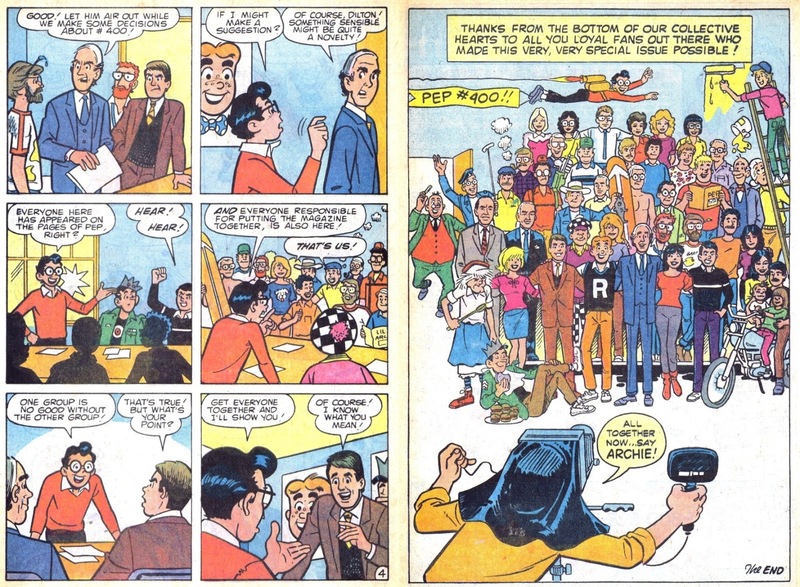 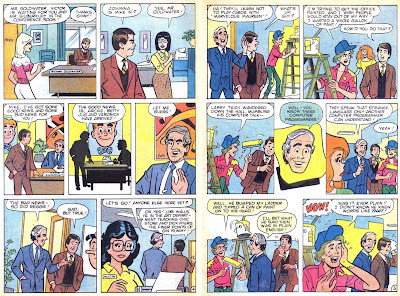 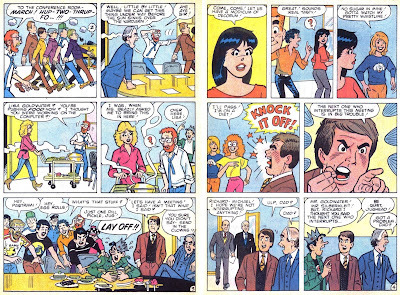 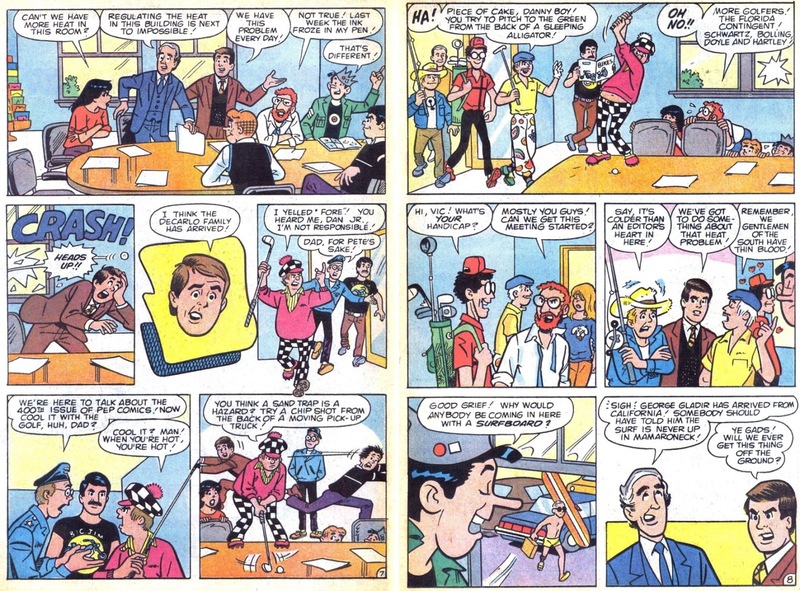 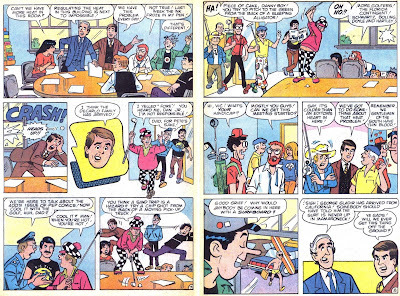 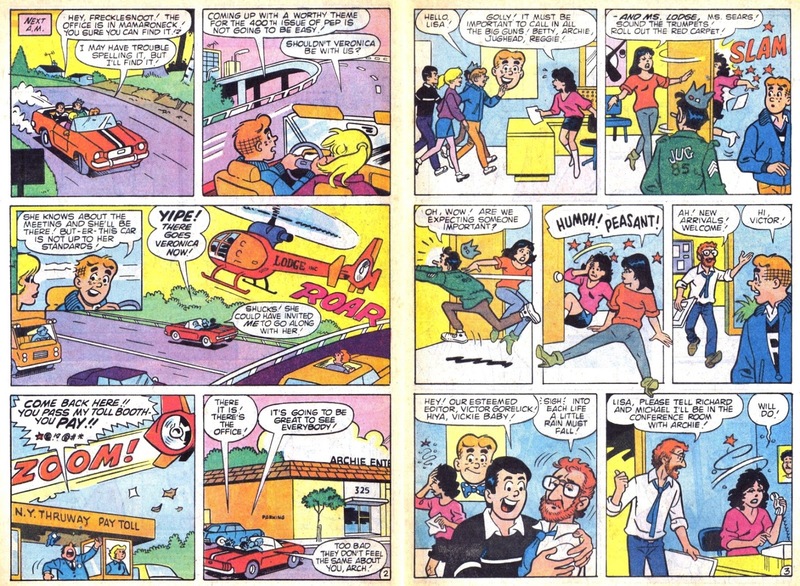 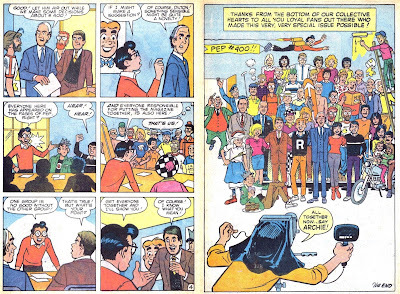 Perhaps the ultimate Bronze Age Archie story, this one has the whole gang meeting up with Richard Goldwater, Michael Silberkleit, Vic Gorelick, and all the rest of the artists and writers and colorists and even secretaries at Archie. 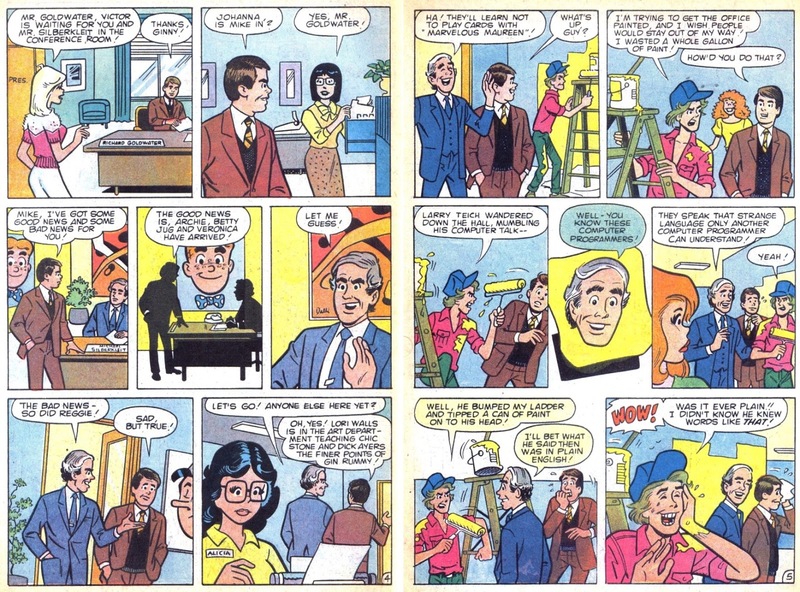 There's even a cameo by then-retired John Goldwater and Louis Silberkleit. 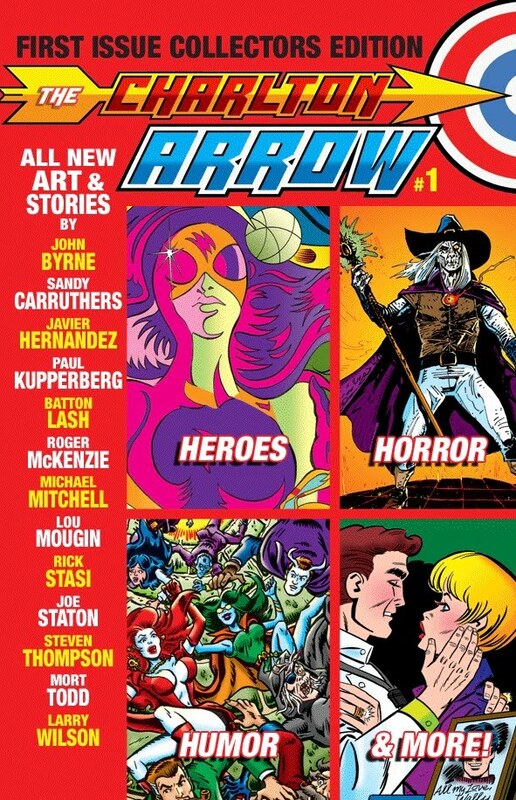 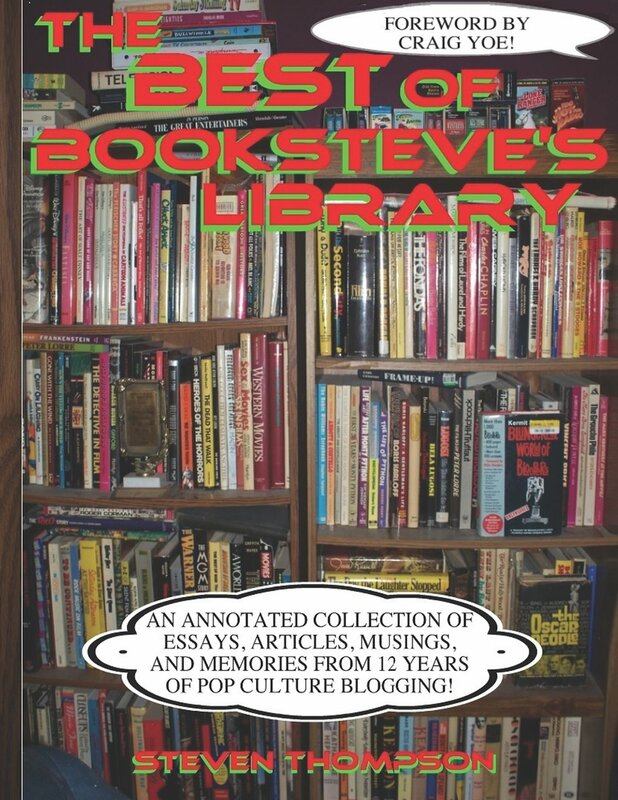 Hey, I own this story! 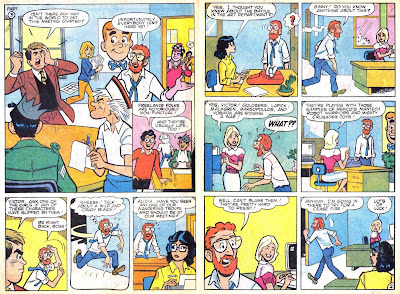 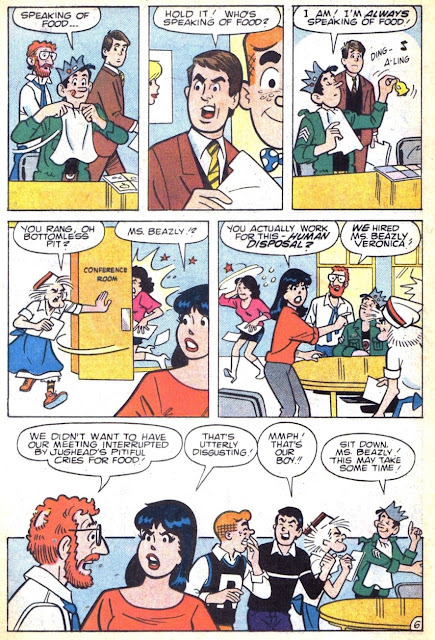 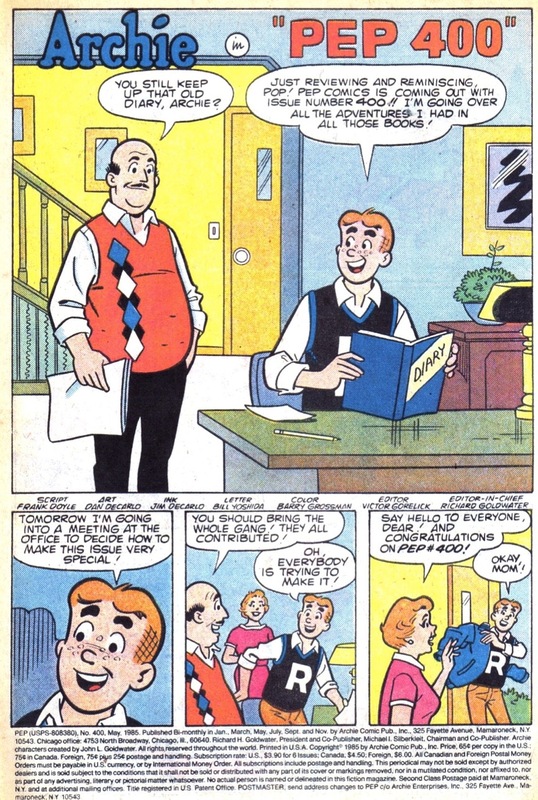 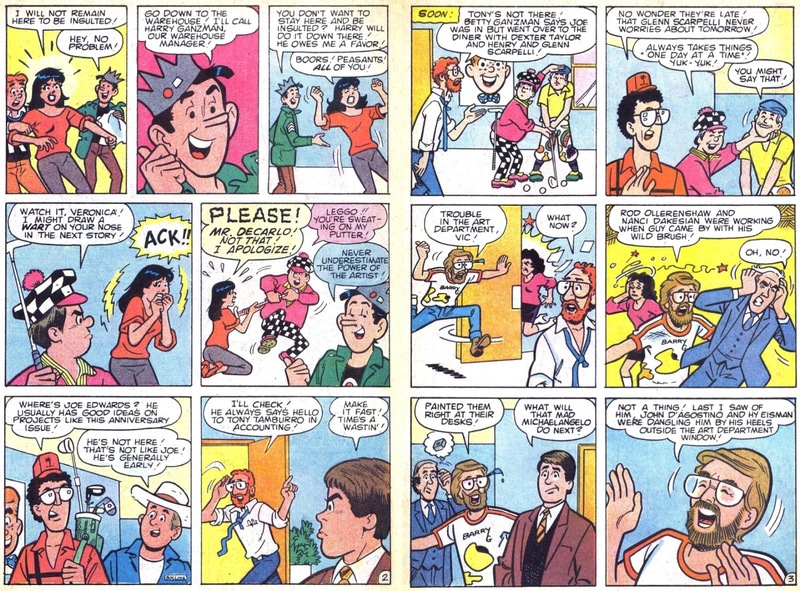 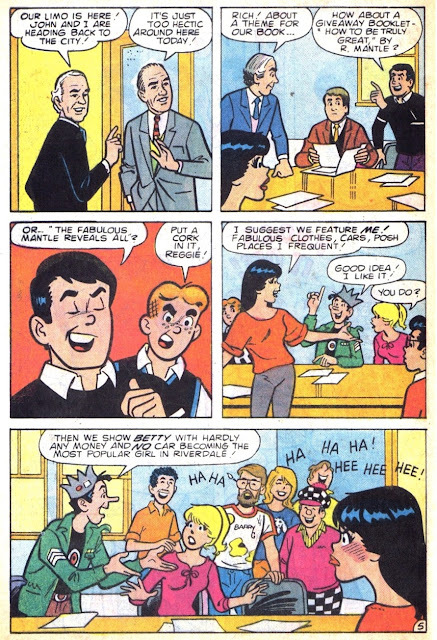 Really one of my favorite Archie stories, of any era for the meta aspect of it. 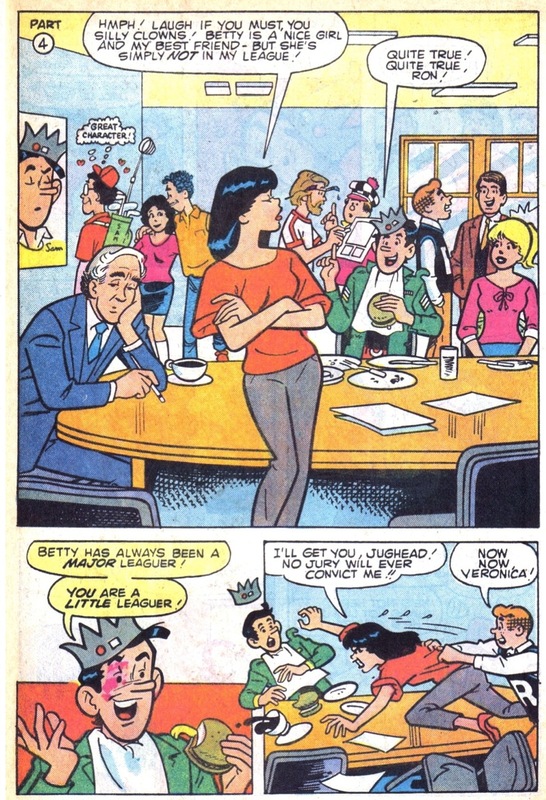 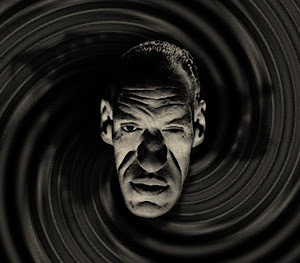 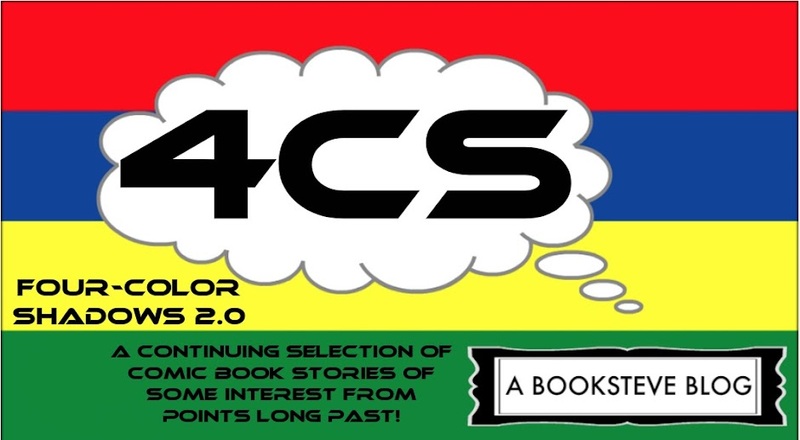 Also, dig Samm Schwartz staring at the poster of Jughead on the splash for Part 4!